Having some friends over and all you have is the new single cup coffe maker? 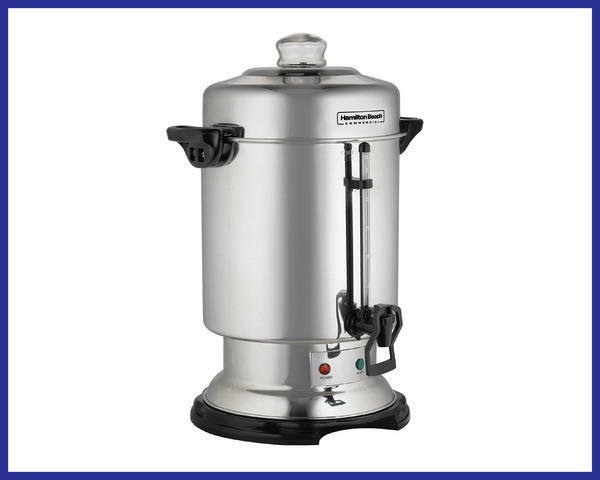 This 60 cup coffee urn serves great tasting coffee to large crowds. Keeps coffee warm to matain that fresh flavor. Makes a cup a minute, so no guest has to wait. Easy to clean machine, simply drain the excess coffee and our staff will do the rest.